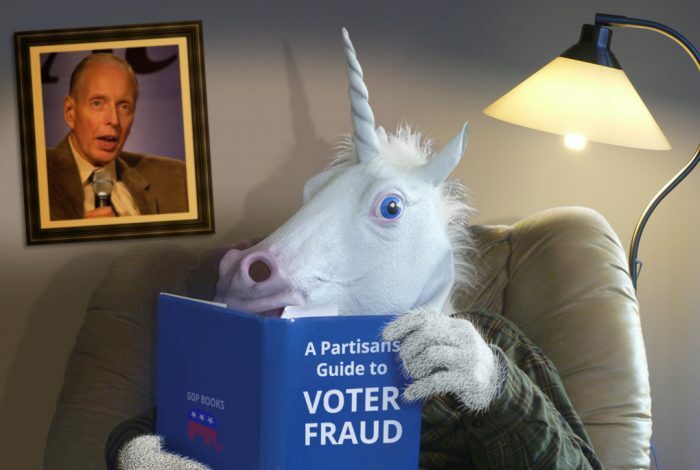 Voter Fraud: A problem slightly more common than unicorns. Photo credit: DonkeyHotey / WhoWhatWhy, see complete attribution below. Putting problematic politicians under a microscope for one thing can turn up entirely different wrongdoing, as disgraced former Alabama Governor Robert Bentley recently learned. An impeachment investigation led by the Alabama House’s Judiciary Committee found the budget justifications Bentley used to rationalize DMV closures were decoys. An underlying political agenda would have disproportionately restricted voting access in African-American communities had the plans not stalled following federal investigation. Activists fighting to maintain the integrity of the election process are not the least bit surprised by the findings; they have been leveling similar claims for years. It is rare, however, to see a government-backed report publicly confirm their suspicions. And it is probably fair to assume that if similar scrutiny were applied to other politicians’ motives elsewhere, this story would not be an isolated case. These were hardly the first Republican-backed voter ID laws and anti-accessibility measures that threatened the voting rights of a vulnerable, left-leaning population. But lawmakers have always weaseled out of accountability by maintaining the purity of their intentions. This report delivers a hard, non-partisan blow against Republicans’ “pure intentions” defense, while lending support to critics’ allegations that voter suppression tactics are written into the GOP playbook. 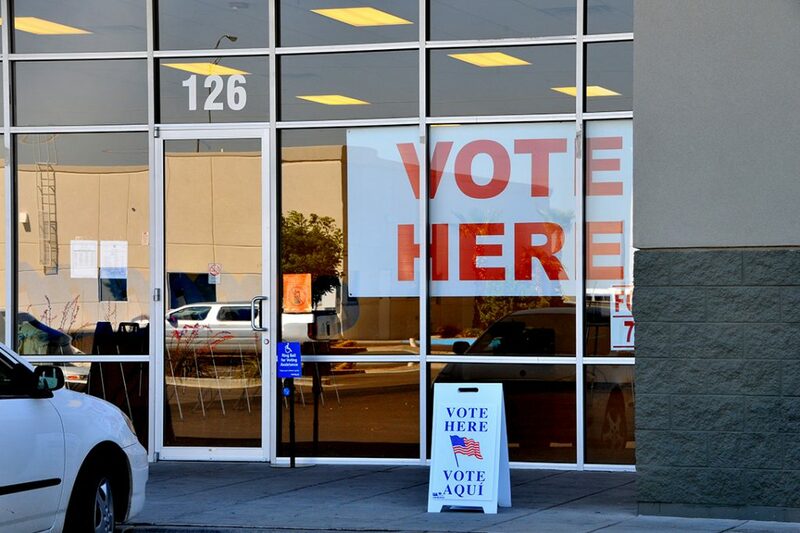 “Wherever Republicans have recently had control of the legislative process, they have passed laws restricting ballot access,” Stephanie Singer, a data analyst who, until 2016, served on the Philadelphia County Board of Elections, told WhoWhatWhy. She supports the claim that one particular party is to blame for these obstacles to voter access. “That may be overstating it, but not by a whole lot,” Simon stated. Similar voting restrictions in Texas, Wisconsin, North Carolina, Florida, Arizona, Georgia, and Kansas suggest lawmaker-sponsored efforts to keep certain voters out of the booth have become common. “We have actually seen a significant uptick in efforts to restrict voter access in states across the country,” Feng says. “Following the 2010 elections, we saw a dramatic rise in state legislatures and secretaries of state introducing voter ID laws, rolling back the days that early voting is provided, making voter registration laws more restrictive, engaging in more aggressive purges of voter lists and other actions. But legislation is just phase one. The real damage, Singer says, occurs when law is coupled with inconvenience and obstruction, as was the case in Alabama. But until someone can verify legislators’ intent when crafting these laws, it is next to impossible to validate these claims. In the meantime, the accused usually fall back on talking points about the “threat” of voter fraud — a threat which numerous studies suggests is rare. Indeed, one such estimate from the Brennan Center places the national incidence of voter fraud in the range of .0003 to .0025 percent. Unfortunately, demonstrating intent is a tall order; it is not every day that Republicans openly brag about the political benefits these laws yield their party, or GOP staffers go on Facebook to call out colleagues for their unbridled enthusiasm in shutting down voting rights. While anecdotal support has never been hard to come by, the report from Bentley’s impeachment investigation, spearheaded by Alabama’s House Judiciary Committee, is the sort of legitimate evidence that might finally validate claims that Republican “voter protection” measures are thinly-veiled bids to keep Democrats out of the voting booth. Still, real reform cannot occur until the court has its say. And as we have already seen, that process is neither easy nor expeditious. For proof, see the case against Texas’ voter ID laws, which stood for more than five years before a federal judge overturned them earlier this month. While similar rulings in Wisconsin and North Carolina, and a pending federal lawsuit in Georgia, may indicate a turning tide, Lieberman reminds us the battle is far from over. In fact, in some states, it is just getting started. Image attribution: Adapted by WhoWhatWhy from Unicorn (el cajon yacht club / Flickr – CC BY 2.0), lamp (Denise Chan / Flickr – CC BY-SA 2.0), GOP logo (Republican Party / Wikimedia), frame (Piotr Siedlecki / PublicDomainPictures.net), Paul Weyrich (c.berlet/publiceye.org / Wikimedia – CC BY-SA 3.0).